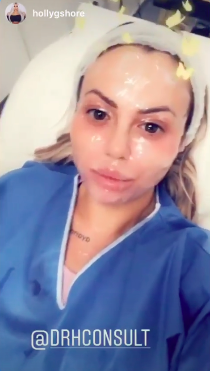 Not shy of going under the knife, now Holly Hagan has shared her latest cosmetic procedure with her Instagram followers. The Geordie Shore star recently underwent ‘laser resurfacing’ in a bid to tighten her skin and ‘reduce wrinkles’. 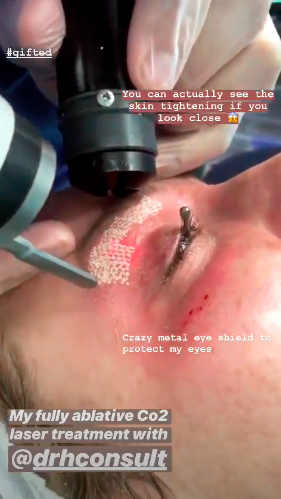 And obviously, the reality pro decided to post the whole painful-looking procedure online. 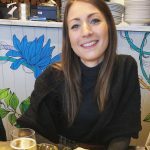 Taking to her Instagram story, 26-year-old Holly can be seen lying on a bed in the clinic with anaesthetic all over her face. 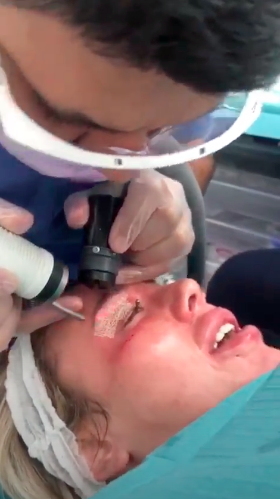 With red blotches all under her eyes, the Geordie native then posted one final video where she can be heard squealing in pain while laser surgeon Dr. Hussein carries out the gruelling £2,775 session. She then admits: ‘I can smell my skin burning!’ Ouch! Skin treatments aside, Holly has recently revealed that she’s completely loved up with footballer beau Jacob Blyth, 26, and has already picked her dream engagement ring. Charlotte Crosby’s BFF – who previously dated Geordie Shore co-star Kyle Christie – told the Mail Online: ‘He’s definitely the one. We’ve talked engagement, I’ve sent him the ring. He knows what ring I want. 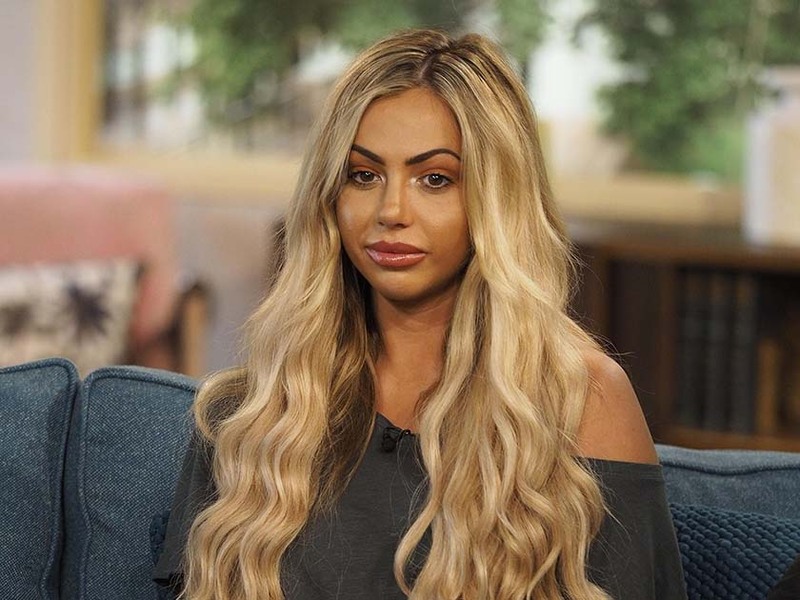 After revealing the pair are planning on moving in together later this year, Holly then went on to open up about her ex Kyle, 26, – saying her mental health suffered a massive knock during their three-year relationship. The star said: ‘When I started to lose weight, I got down to maybe a stone and a half, two stone smaller than I currently am.